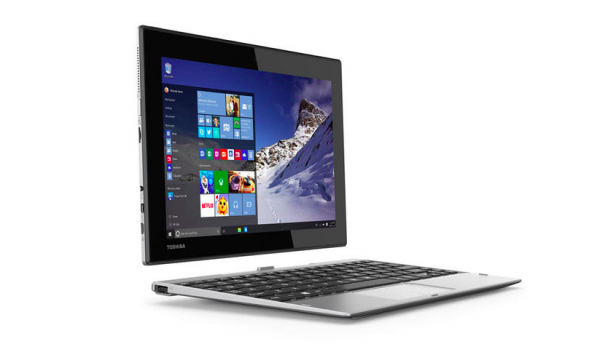 Toshiba's new Satellite Click 10 is an ultra-compact detachable 2-in-1 is extremely portable and highly affordable. This new hybrid tablet-laptop is perfect for budget conscious students looking for a lightweight system to tote with them from class to class. 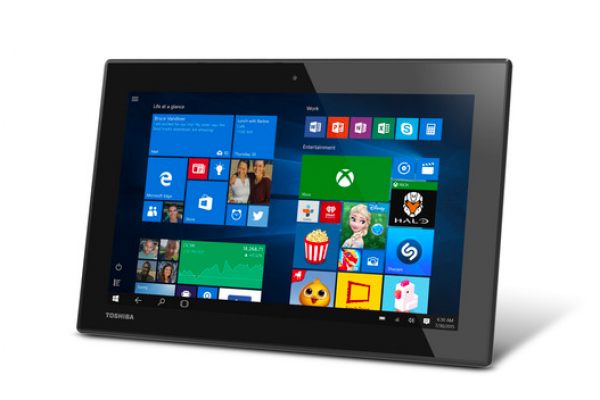 The Satellite Click 10 is powered by the new Intel Atom x5 processor with 64-bit processing. This latest processor from Intel provides all the performance, agility and speed for a rich mobile experience, including editing photos and videos, making changes to presentations on the go, and switching quickly between apps, while delivering a battery life rating of more than seven hours. 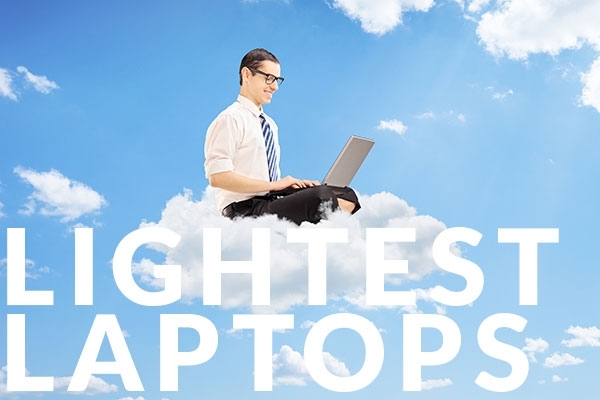 This laptop is light! 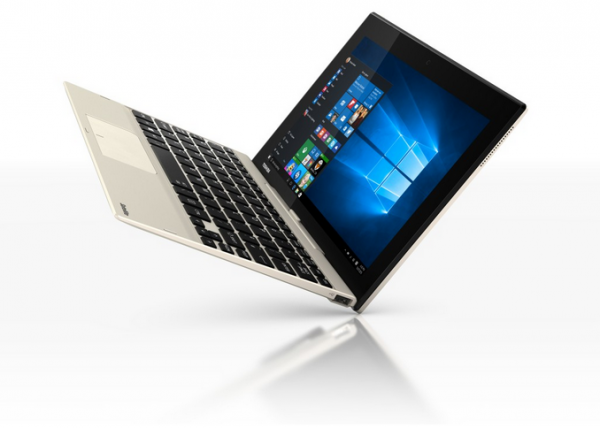 According to Toshiba, The Satellite Click 10 is thirty percent smaller and fifty percent lighter than a "traditional" laptop. It is only 0.36 inches thick and weighs 1.2 pounds, or 0.76 inches and 2.2 pounds with a keyboard dock. This laptop perfect solution for students who are looking for versatilely. 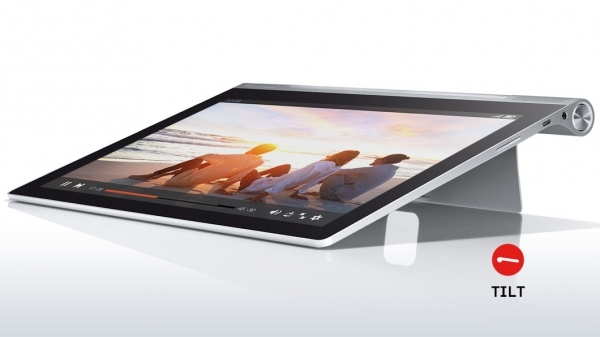 The Satellite Click 10 is a hybrid 2-in-1 laptop so it can easily serve as both a laptop and a touchscreen tablet. The Satellite Click 10 is designed to enhance the new features and capabilities of Windows 10. For voice apps like Cortana1 and Skype, the Satellite Click 10 features multi-directional TruTalk microphones, a dedicated Cortana key and a high-resolution 8MP rear camera and 2MP front webcam for video chatting and taking photos. In addition, the device comes with Office mobile apps pre-installed, enabling users to be productive right out of the box, in both laptop and tablet modes. The Satellite Click 10 isn't just lightweight, it's extremely affordable as well. This new 2 in 1 hybrid tablet-laptop is only $349.99 making it significantly cheaper than other options like the Surface 3. The Satellite Click 10 is available for pre-order now with an estimated ship date of September 29th. Hurry over to Toshiba.com for more information and score some extra savings with a Toshiba coupon code from CouponPal.